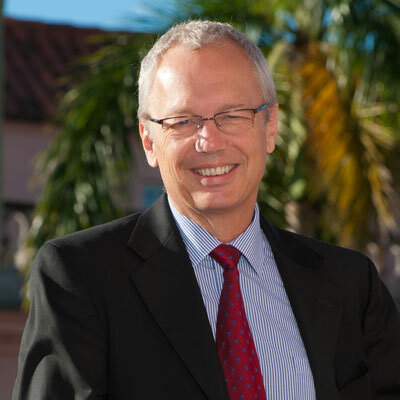 Steven High is the Executive Director of the John and Mable Ringling Museum of Art and is on the faculty at Florida State University. He has worked in art museums since 1977 and has held museum positions in cities from San Francisco to Boston. Joining The Ringling in 2011, he has undertaken major strategic planning, launched design, construction, and the opening for the Center for Asian Art, re-branded The Ringling, and opened the Turrell Skyspace, Tibbals Circus Galleries, and the Bolger Playspace. He is currently overseeing construction and programming for the Kotler-Coville Glass Pavilion and the complete reinstallation of the Museum of Art. He manages a staff of over 250 with an operating budget over $20 million. He has a M.A. in Art History from Williams College, Williamstown, Massachusetts and a M.B.A. degree from the School of Business, Virginia Commonwealth University, Richmond. High’s curatorial experience and interests are in modern and contemporary art.